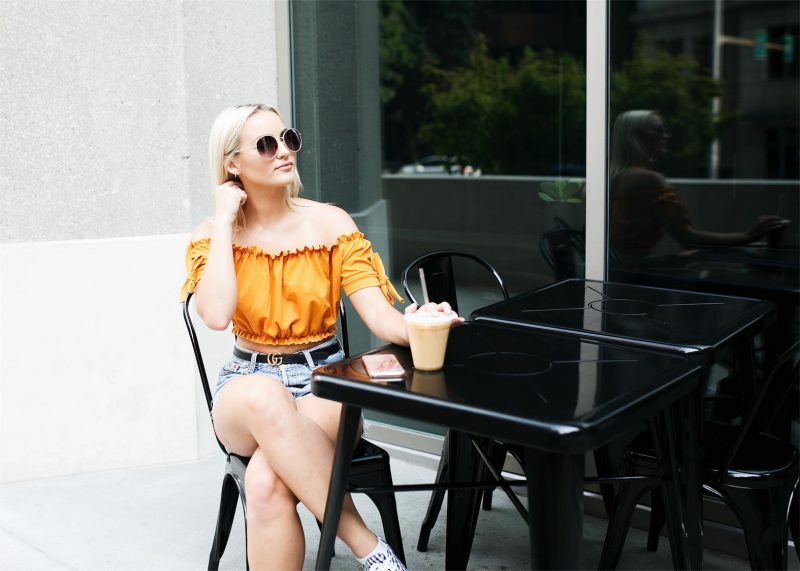 These past few months have been such a whirlwind, meaning I have been living in shorts and some version of an off the shoulder top. I was under some false illusion that summer was the time to do whatever you want whenever you want (like have time to actually put together cool outfits) because summer means summer, not work and adulting, right?! Apparently being an adult doesn’t mean summer comes without responsibilities, work, and just life in general because we all know that sh*t gets in the way sometimes. Reaching for a pair of cutoff Levi’s has become such a common occurrence that I now automatically reach for them every time I open my closet, almost like I am on automatic pilot mode! I have three pairs that I wear on repeat and always grap an off the shoulder top to go with them, similar to this Missy Empire Bardot Crop Top. In case you are wondering what I am up to next, I am currently planning for New York Fashion Week which is making me a bit mental! So much planning and organizing going on. I am really looking forward to creating some looks and pushing myself to be as creative as possible because I have been taking a very long creative break and I can’t wait to get back into it. Like I said earlier, that thing called “life” sometimes just gets in the way. Right after New York I am going straight to Las Vegas to celebrate Keegan’s birthday (also my birthday, again) with our closest friends. I think that trip will be one for the books. If you haven’t, make sure to also check out my trips to London and Dublin this summer, I share everything from where I stayed, what I did, and of course, where and what I ate!